Completing the dares will enter you for a chance to win a $400 pre-paid gift card from UnitedHeathcare. 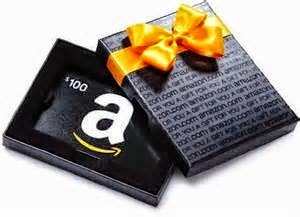 Entering through the giveaway widget below will allow you to have a chance to win a $100 Amazon Gift Card being given away through Tom over at Tom’s Take On Things. With coverage for short-term users, those with Medicaid and Medicare, and those seeking long term medical coverage, with the addition of vision and dental care, you need to view all that UnitedHealthcare has to offer. So there are 3 dares that they want you to complete. What are they? What can you do to win? Enter the giveaway below, and get your entries in to win a $100 Amazon Gift Card. Open to residents of the United States, 18 years of age or older. Giveaway begins today 5/2 and ends 5/31 at 11:59PM EST. Participating Bloggers were not compensated for this post. Facebook, Twitter, Pinterest are no way associated with this giveaway. UnitedHealthcare is responsible for prize delivery. The vido was my favorite dare because of all the information it provided….quick and easy information.